The final celebration of a loved one's life is a powerful part of closure and healing. 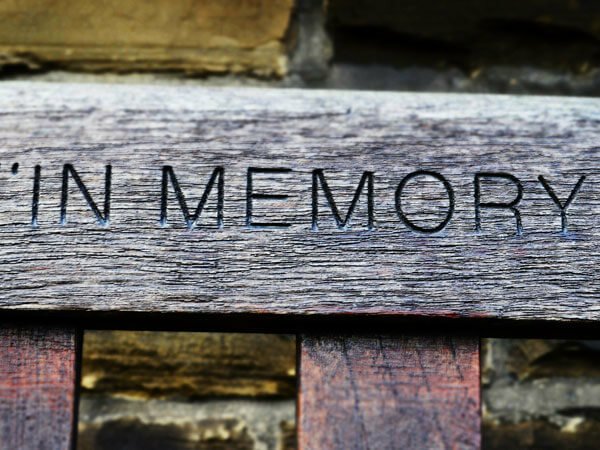 The Reeb Funeral Home encourages families to personalize the visitation and funeral service to commemorate the life of the dearly departed. Why not let us produce a beautiful keepsake of your beloved through pictures? Our Tribute Video Program allows you to select photos and music to chronicle a life well-lived. Available on DVD, these priceless reminders of fond memories are sure to be treasured and passed down for years to come. A necklace charm featuring your loved one's thumbprint has become a popular choice for many families. A variety of shapes (ie: oval pendant, heart-shaped pendant, keychains, cuff-links, lapel pins, or rings may be ordered through the Reeb Funeral Home). They come in 14K gold, white gold, or sterling silver.